This page explains how the Discussions feature work for regular users, site managers and content managers. The Discussion feature allows any logged-in user to create a timeboxed discussion. This means that the discussion occurs within a fixed time period. A discussion is comprised of moderators and a start and end date. 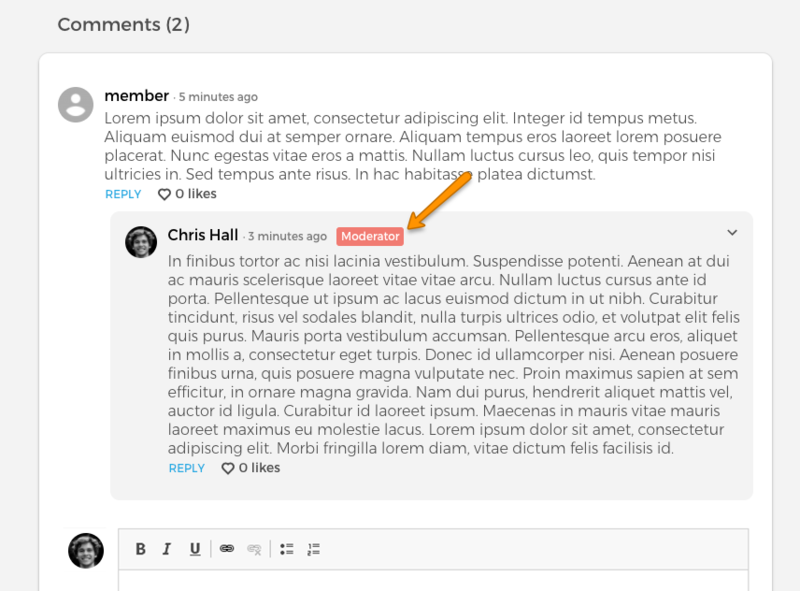 A member can comment with an editor that allows them to style their comments. 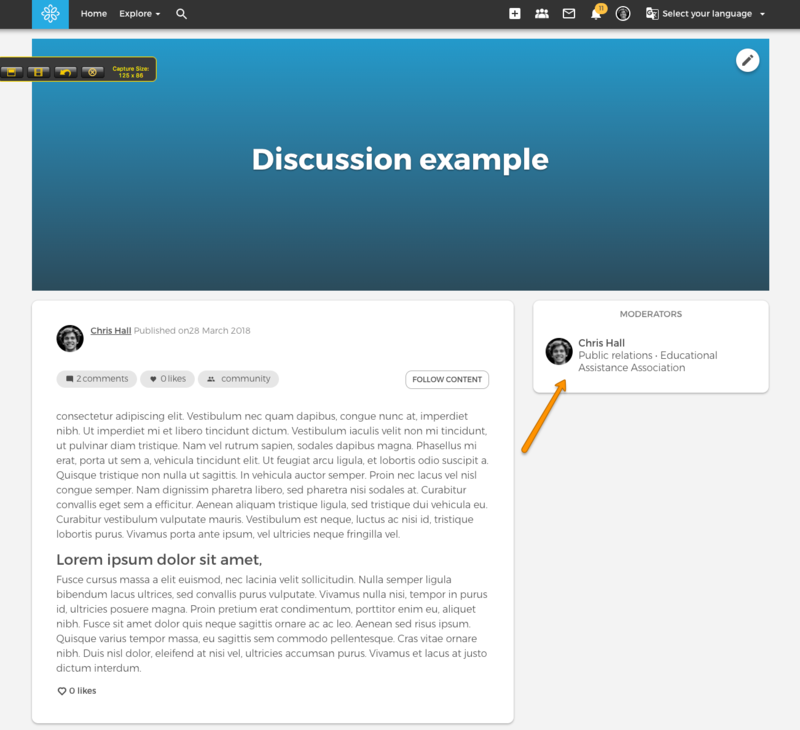 Discussions overview can be placed in- or outside a group, and an overview of all discussions can be placed as a link in the menu. By default the overview can be found under the explore menu. A member can create a discussion by using the ‘+’ button in the header menu. Insert a a title, description, image, end and start date, and choose the visibility. The date is just to show the start and end date to other users, the author has to open and close the comments options manually. Add moderators to discussion, moderators have a label next to their name when they comment in the discussion, so other members know who the moderators are. Moderators do not have extra permissions.